Ottawa is the capital city of Canada. 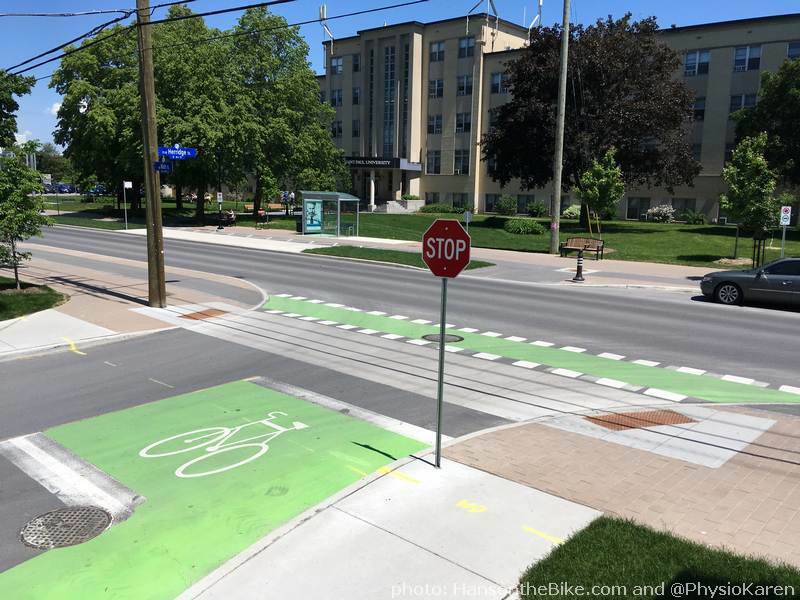 It was the fifth municipality in Canada to adopt a Complete Streets policy. 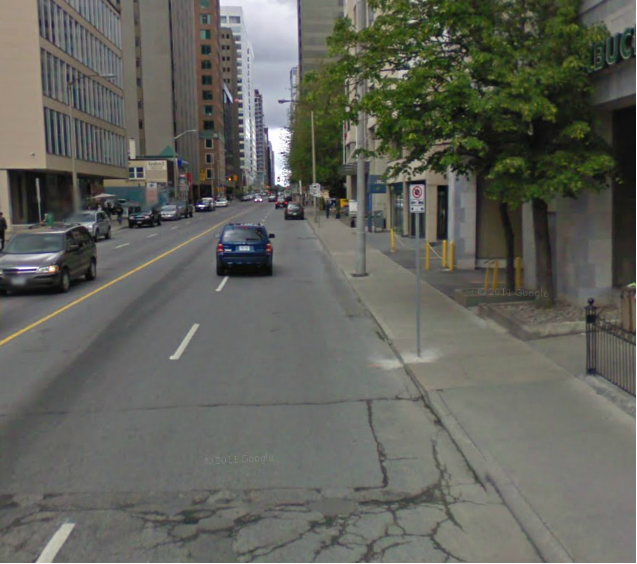 Blog posts include a profile of Main Street and TCAT’s analysis of Ottawa’s complete street policy. 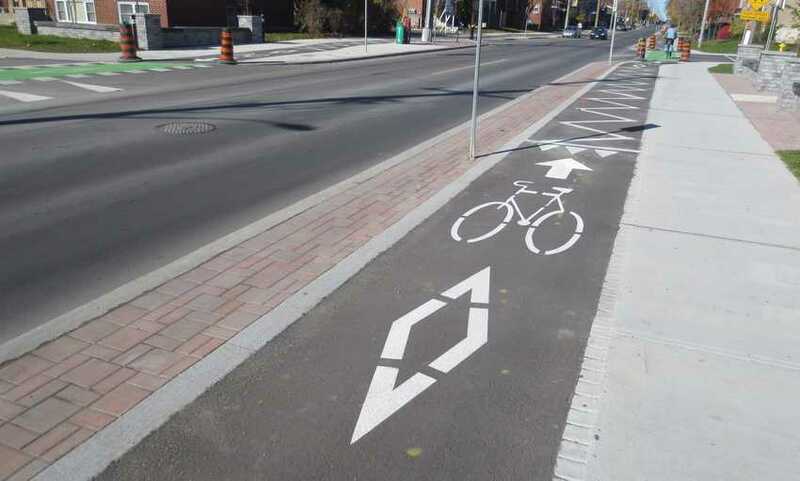 On 14 October 2015 Ottawa City Council approved a Complete Streets Framework that identifies how the Complete Streets policy, approved by Council as part of the Transportation Master Plan Update in November 2013 , will be implemented. The framework also provides guidelines for Multi-Modal Level of Service (MMLOS) on how to assess the various level of service for the different modes of transportation and what the specific target service levels for each mode of transport, for a given the location and context of the transportation project. 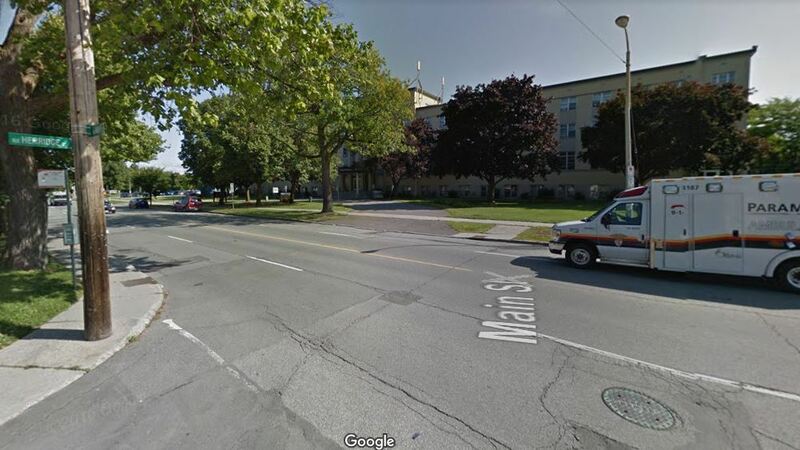 Situated entirely within the historic Old East Community, Main Street is the first Complete Street redevelopment of a major arterial road within the City of Ottawa. Originally constructed as a four-lane high capacity arterial road, with narrow pedestrian sidewalks, the previous design contributed to an undesirable and unsafe environment for the local residents and patrons reliant on the street daily. The two-year Complete Street construction project was initiated in 2015, due to the need to replace water and storm sewer infrastructure underlying the street. The capital project provided an opportunity for the City to implement the design guidelines for all new and redeveloped streets that had been adopted within the 2013 Transportation Master Plan. 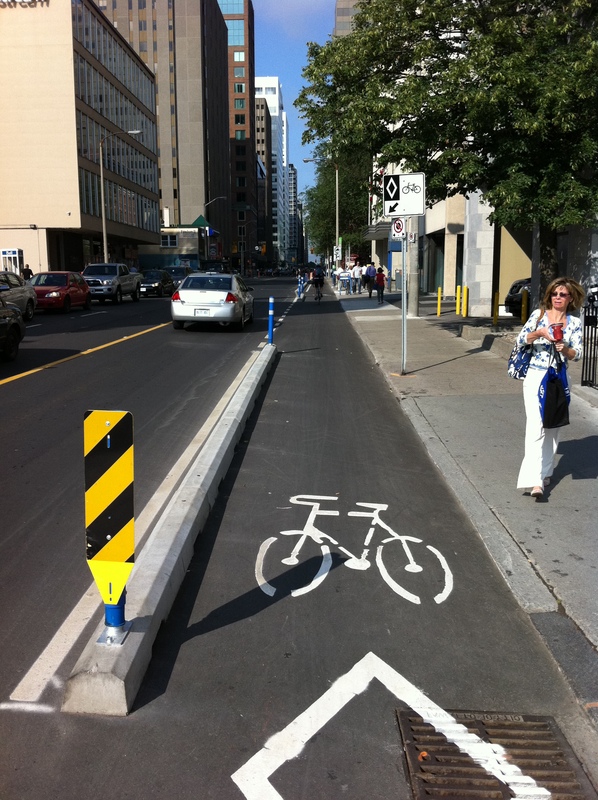 These guidelines “seek to balance the needs of all users in a sustainable way” (City of Ottawa, 2013). The redevelopment of Main Street includes the creation of separated raised bike lanes. Widening of sidewalks, now using sidewalk pavers. Replacement and addition of on-street furniture. Enhanced on-street vegetation, such as trees and shrubs. Improved on-street parking. New and improved transit shelters and orientation. Addition of a central turning lane to improve traffic flow. Removal of slip-lanes at the Riverdale and Main St intersection, to a standard T-intersection. Addition of new signage and on-street paint to highlight bicycle infrastructure. The transformation of Main Street has spurred new interest in infill development within the Old East Community to capitalize on the historic character and central location of this community. New paint markings and informational signage. Bicycle counts are ongoing along the Laurier Avenue West segregated bike lanes. During rush hour May 31, 2012, the number of cyclists for the month surpassed 50,000, the highest monthly number yet since the two-year pilot project began in July of 2011. Although this street has incorporated a Complete Street approach, it is not described as a Complete Street by the municipality at this time. Churchill Avenue is considered Ottawa’s first Complete Street of many. 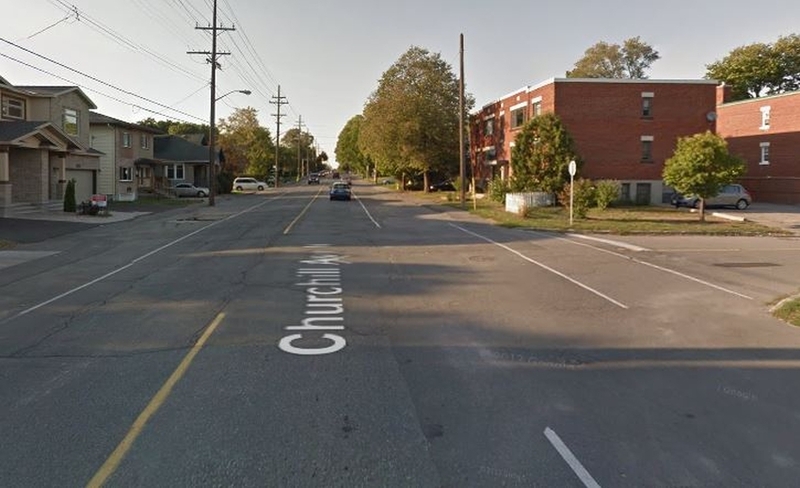 In November 2014, the City of Ottawa opened its first Complete Street, a section of Churchill Ave from Carling Ave to Princeton Ave. The street was due for a major rehabilitation and replacement of linear infrastructure, and, as part of its Ottawa on the Move project the City saw this routine construction as an opportunity to make major improvements to the right-of-way, including: raised cycling lanes improved street lighting traffic control at three intersections traffic calming measures concrete curbs and sidewalks streetscaping utilities relocation.